Households with credit card debt owe an average of $15,355 on those cards. Plug that figure into a debt repayment calculator and you’ll see with 18% interest and 3% minimum payments, it’ll take about 23 years to pay it off. Total payments will be $30,408.18 — almost double the original balance. You probably don’t want to have debt like that hanging around for 23 years. You might also want to avoid paying twice as much for everything you buy. Plus, it’s easier to get a mortgage loan if your credit card balances are zero. There are also things you can’t do or buy when you have big debts to pay. We could fill this page with reasons to pay down consumer debt more quickly. But whatever your reasons are, here are 11 ways to pay off credit card debt fast. 1. Stop Using Your Cards! This is an obvious one, but also not a universal suggestion. If you normally have trouble with impulse buying on credit, put the cards away. But if your current debt situation is a result of unexpected events and you normally handle credit cards responsibly, there are advantages to continuing to use credit cards. We’ll get to it in the next item on the list. Also, closing credit card accounts can hurt your credit score. This is especially true if those accounts are older and/or have high credit limits. So you may want to keep most accounts open, but just hide the cards. Keep your credit cards active -- or the issuer might close them for you. Pull them out once annually to buy a soda or some small item. When you use a card with a balance, you pay interest on purchases from the day you make them. But if you put normal purchases on a card you pay in full every month (what I call a PIF card), you avoid new interest charges. Apply those savings to paying down the debt. If you don’t have a paid-up card, pay off one of your cards first, then make it your new PIF card. In theory — if you can handle it — using a cash-back credit card can be better than paying cash. Use the cash rewards to help pay down your debt. Budget as much as you can toward debt repayment. Put money normally allocated to an emergency fund toward debt repayment. What if you have an emergency? See my list of 101 ways to raise cash in a week, or use the credit cards you’ve kept. You’ll at least have reduced the interest charges up to that point. One of the most powerful strategies you can use is to cut your expenses — then apply the savings toward debt repayment. For inspiration, take a look at how one family cut their expenses by over $1,000 per month. Imagine how quickly you could knock down debt if you had an extra $12,000 per year to throw at it. 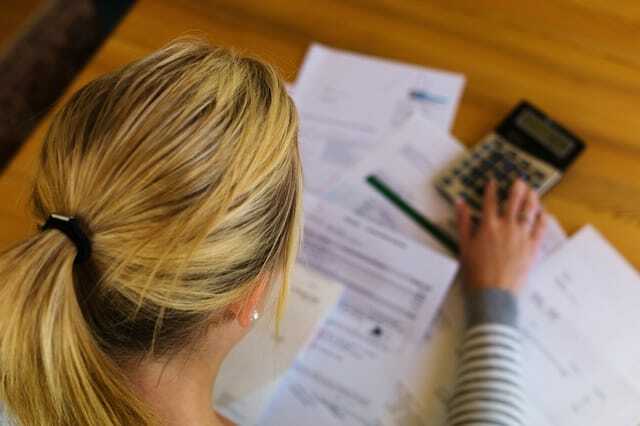 Cutting expenses can only go so far — why not find new money to pay your debt? Working an extra day on overtime every other week could bring in thousands of dollars annually. For more ideas, see my list of ways to make more money from your job, or try some of these 103 ways to make money at home. In general, any unexpected or “extra” income should go toward your debt — including tax refunds or monetary gifts. Then, sell everything you don’t use on Craigslist or have a garage sale. Use the money you raise to pay down those balances. You can convince credit card companies to lower your interest rates — if you ask the right way. It’s worth trying at least once for each credit card you have. Knocking four interest percentage points off a $10,000 balance can save you hundreds of dollars in interest annually. Add those savings to your debt repayment budget! Pay only the minimum required on every card, except the one with the highest interest rate. If you put most of your debt repayment budget toward the balance with the highest interest rate, you’ll pay it off quickly. Then, do the same with whichever remaining card balance has the highest interest rate. This formula helps you devote less money to interest and more to paying down the debt — speeding up the process. One exception is if all your cards have balances. In this case, you might want to pay off the smallest balance in order to have one card to use for normal purchases. Pay this card in full every month to avoid any new interest charges. Most credit card companies use an average daily balance to compute interest charges. Instead of paying $400 toward a balance each month, make two payments of $200. You’ll lower the average daily balance — so you’ll pay less interest! In theory, paying every week would help even more, but may be too cumbersome. Transferring some — or all — of your debt to a card with a lower interest rate can make repayment much easier. This is especially true if you find a card with no transfer fee and no interest for a year or more. One couple paid off a $2,000 credit card debt using a balance transfer. If you can, pay off the entire balance during the zero-interest period. If you can’t, watch for other zero-interest offers when the current one is almost over. There are several problems with debt consolidation loans. For example, if the new loan stretches repayment out over a longer time, you might pay more interest, even if the new rate is lower. On the other hand, if you can get an interest rate lower than the average of the balances it will pay off (even when including fees), and you have a definite plan to pay off the new loan quickly, it makes sense. Sometimes, you can convince a credit card company to forgive your debt — or at least part of it. If you’re in serious financial trouble, explain the situation to the card issuer. Offer to pay a portion of the balance owed as payment in full. Get the agreement in writing — if the debt is simply written off as uncollectible (not paid-in-full), it can still be sold and collected later. Beware: Forgiven debt can be taxable as income. In other words, if the credit card company agrees to take $2,000 as full payment on a $7,000 balance, you might have to pay taxes on the forgiven $5,000. Any one of these strategies might be useful on its own, but use several to pay off your credit card debt as quickly as possible. For example: Get lower interest rates, make two monthly payments, pay the highest-interest-rate balances first and allocate all new money and savings from reduced expenses toward debt repayment. How quickly can you accomplish your goal of paying off your credit card debt? It depends on your situation, debt level, and commitment. Lauren Bowling used several of these strategies as part of her “aggressive approach.” She paid off $8,100 of credit card debt in three months.